Assessment cut scores can be edited at any time, even after the assessment has been given and scored. Note: Changing cut scores on a completed assessment will automatically change the mastery levels according to the new scores. Click Trackers, and select your tracker. Click on the title of the standard for which you want to change cut scores. 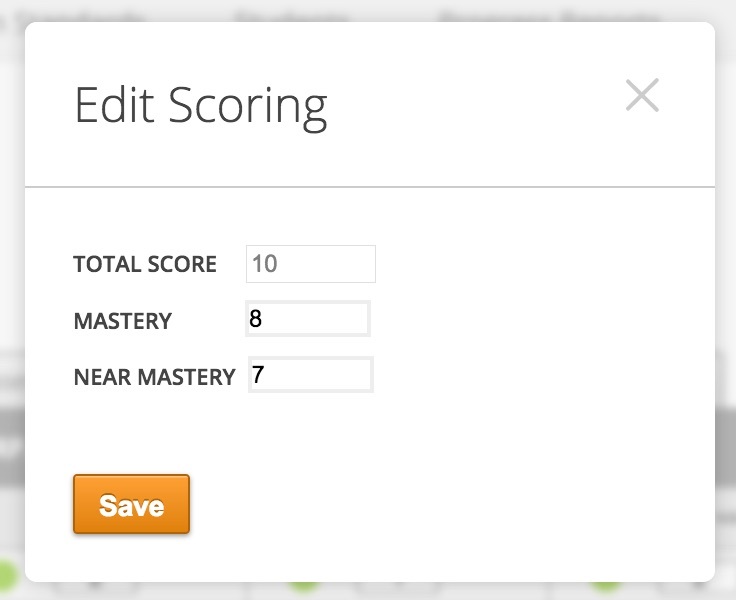 Hover over the mastery level cut scores for the assessment, and click the pencil icon. Enter new cut scores on the Edit Scoring dialog box. Click Save. All scores for the assessment will be updated to the new mastery levels.